Liverpool’s Egyptian forward Mohamed Salah thanked Egyptian fans for their support during the World Cup, saying he apologises for failing to fulfill their ambitions. 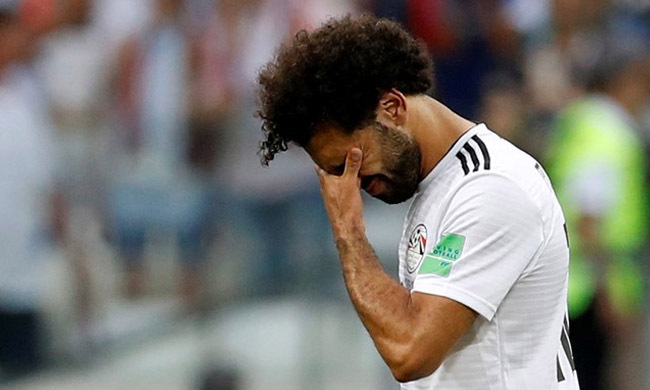 Egypt ended their World Cup campaign on Monday with a 2-1 loss to fellow Arab country Saudi Arabia, suffering defeats in all three games in their group in the tournament. The 26-year-old, who scored the Pharaohs sole goal in the game in the 22nd minute, was named man of the match after a fine performance. The classy winger attributed Egypt’s debacle at the World Cup to the lack of experience for players, who made their first ever appearance in such tournament. “The Egyptian team does not have prior experience of the World Cup. We reached the cup for the first time after 28 years of absence.The players did their best, and I am sure that the future will be better,” Salah, who scored twice in the tournament for the Pharaohs, said.